The heat is on in one shelter at the Government Center light-rail station in downtown Minneapolis, but others at the popular stop are not working. 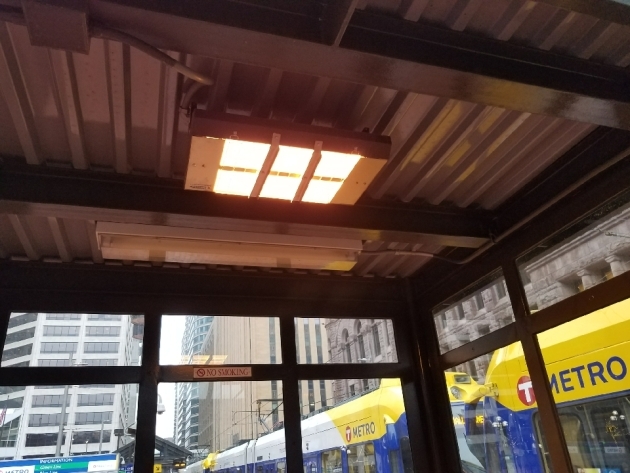 It's the same story at the Warehouse District/Hennepin Avenue Station, where the overhead heat lamps that provide protection against the elements are on the fritz, leaving riders left to stand in the cold and wind. Turns out that's a widespread problem. More than 1,000 heat lamps at light-rail stations and bus shelters across the system are not working, Metro Transit said. The reason: Vandalism, said spokesman Howie Padilla. Metro Transit became aware of the problem during the cold snap earlier this month after riders complained. And as the temperatures continue their slide into winter, riders are asking for the heaters to be fixed so they can stay warm while waiting for their ride. @MetroTransitMN Hey y'all, any reason the heat at the 10th St. train platform isn't on? @MetroTransitMN hi, the heat isn’t on yet in the shelter in St Paul on Robert between 5th and 6th going South. Thanks! 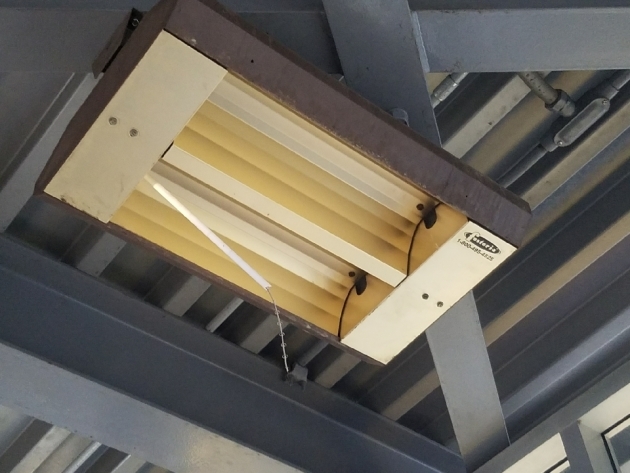 Heat lamps inside shelters are regulated to work when the temperature falls to 40 degrees or colder. Riders can push a button to make them come on. But hundreds of the heat-producing units like this one at the Warehouse District/Hennepin Avenue platform have been inoperable. "A large majority of them were vandalized," Padilla said. Metro Transit Manager of Facilities Mike Maddio estimates replacing the vandalized heaters has cost the agency tens of thousands of dollars over the past few years. Engineering teams have been working across the system to get them up and running, Padilla said. But he offered no timeline as to when the damaged heaters will be fixed. The heaters are made from one or more 12-inch glass tubes, and are targets for vandals, especially in downtown Minneapolis and St. Paul, Maddio said. Since early October, he said a staff of four electricians have replaced more than 400 heat lamps and are scheduled to replace an additional 800 in the coming weeks.